infrastructure to best support your needs for years to come. The right music at the right time. Your Rockbot music stations align perfectly with the Hangar 24 Brewery brand and are appropriate for all audiences. Backed by Universal Music, Rockbot enjoys instant access to new releases and employs automatic updates to keep your stations fresh. 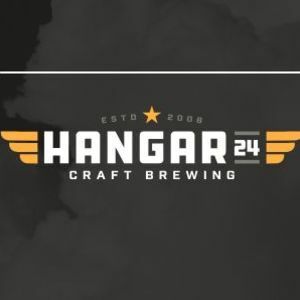 Your Hangar 24 Brewery stations are configured to shift by time of day, creating the perfect atmosphere all day long. One dashboard to control all of your music. The Rockbot Player ships to your locations within 24 hours, pre-configured for each store. Easily connect the Rockbot Player to your existing audio system and internet. Rockbot automatically turns on and off and continues playing when the internet’s down. Dedicated customer support, 7 days a week. Our Success Managers will always be available, know your managers names by heart, and become experts at your stores. Contacting Rockbot is easy. Give us a call or send us a note or ask a question right from your dashboard. Rockbot’s Success Managers lead the industry in response time and are prepared to help when it matters most.